Communications. All baby monitors are now on sale for 15% off! device or a monitor that is part of a complete notification system. technology. Regularly $59.95, now only $50.96! baby starts crying. Regularly $43.95, now only $37.36. Sale ends July 22, 2010.
second defective implant that later failed. >From what I see, the conference appeared to be well organized. 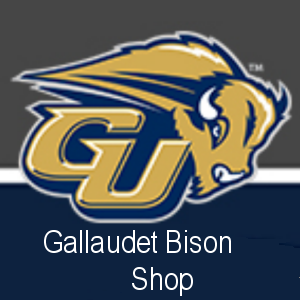 be Gallaudet's fourth consecutive win. does not charge a penny. crowd and all three made good impressions. for the Deaf and Hard of Hearing. Thursday. Did more come on Friday and today, I don't know? NAD CEO has not yet been made. National Statuary Hall Collection in Washington, DC. raising to have the actual statue erected on the grounds. respect to full captioning of emergency announcements. a little sway with the Appeals court. do not know how to go about it. aware of what was going on. sign language a no-no in classrooms for the deaf? asking that sign language be officially recognized. deaf people, and not with these ICED educators! 20% OFF GENTEX SMOKE DETECTORS AT WCI! Super Summer Savings at WCI! early warning to the presence of smoke. special and all our other products. We're on Facebook! Become a fan and get a free gift! wants the deaf child to go to a mainstreamed program. state Department of Education has mediation services. and hopefully solve this disagreement issue. adults that want to have fun and enjoy life. - Small pets are welcome! the rent). Monthly Rent: $925.00. Section 8 welcome! ASL at Gallaudet or NTID? Gallaudet was the name of a aircraft fighter. prototypes of that model was tested. it to World War I.
largest deaf network on the Internet....Deaf Match International ! Celebrate United TTY's 10 Year Anniversary with Big $avings ! ALL online orders at UnitedTTY.com are 10% OFF plus FREE Shipping ! also get Free Shipping ! biggest selection from all major US carriers ! thoughts to starting a business for themselves. mobile dog grooming business in Napa, California. dog grooming field. After all, every dog needs grooming! about it, except to express negative thoughts. It is sad to hear of such an attitude. down on costs in order to stay alive. to shop, fully unaware of this fact! companies (Muzak, Trusonic or Sirius) to play their music. is the deaf person capable of working at a job? cannot help but wonder about the deaf in South Africa. and would not understand these simple body language gestures! keyboard than a traditional computer keyboard. use to make other letters. stroke are T, P, and H.
sounds that we use to start words in English. mixed together to make other letters. 3 Days Pre-cruise Events. 3 Popular Tours! 3 Days Pre-cruise Events. 3 Popular Tours and Prizes! 2 Days Post Cruise Events. 2 Fun Tours!! 2 Options: 7 Days cruise only or 15 Days cruise-tours. 3 Days Pre-cruise Events. 2 Most Adventure Tours! 3 Days Pre-cruise Events. 5 Popular Tours and Prizes! Hawaii Cruise July 2nd to 9th, 2011. 7 Days of Fun Sailing & Islands! 2 Days Post-cruise Events. 4 More Tours!! More Sightseeing!! Almost 2 weeks non-stop of adventures! seats or more to provide assistive listening devices. Except from this law are places of worship. begging for volunteers to interpret at services! An irony took place at the NAD Conference at Norfolk, VA.
sign language staff, TTY installations, captions in TV sets, etc. local economy generated by the Conference (or $1,000 per visitor). DEAFDIGEST editor told them they needed a decoder box. to the needs of the disabled, the deaf included. do you have a striker? Administration with a minimum of three years management experience. opportunities. Salary: $45-60K DOE/E and excellent benefits package. Relocation funds may be available dependent on candidate selection. students ages 3-22 years of age. 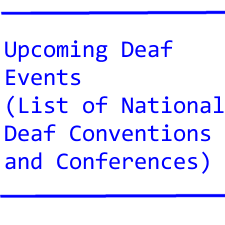 schools for the deaf and hard-of-hearing students in the United States. model offers an array of instructional environments to our students. supervision of direct care staff, and facilities oversight. Search reopened - position available upon hire. toward the achievement of diversity goals. oriented philosophy, optimism, confidence and excitement about change. Position closes on July 15, 2010.
by St. Mary's School for the Deaf. St. Mary's School for the Deaf.